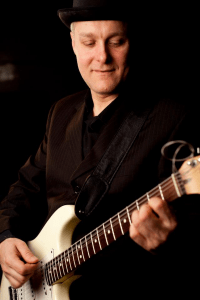 Dominic Fraser, Guitarist, Welcomes You To Trusty Guitar! It is my desire for this site to be your one-stop shop for Guitar information. Music has fascinated me my entire life. I always played the air guitar alongside the radio station. One day, I decided to buy a guitar and take lessons. As an adult learner, it wasn’t always easy, but I have found the hobby extremely rewarding. Now, I’m excited to pass that information forward. The Guitar information on the internet is spotty and scattered around among old blogs with out-of-date links, or hidden deep in forums. little blogs and hidden in forum un-updated information out there. Old blogs with out-dated links and half-answered questions. Here at Trusty Guitars we find those “gaps” and we fill them with timely, well-researched knowledge that pulls from our extensive personal guitar-playing experience. Whether you have played guitar for years or are looking to buy your first guitar, we have something for everyone. I’ve been playing guitar off and on for about 5 years, now. I think I’m finally getting good enough that I can play with my friends and family and not totally embarrass myself. For the new guitarist, there is not a lot of good information out there. I mean, you go to buy your first electric guitar, and suddenly you are lost in a world of “tonewoods” and “pickups”. And all you can do is hope that the pawn shop dude you are talking to is steering you in the right direction. Or you want to learn how to play guitar and you don’t want to take 5 years to learn how (like I did). What are the best online guitar courses? Which courses are full of gaps? Which ones are complete scams? I go over that and help you decide which one will help you reach your goal for the least amount of money. Whether you want to play in a band, in your basement, at church or at the bar, this blog has done the research to help you decide which resources will work best for you. (And where I am unsure about something, I call one of my many musician friends to help get more than one opinion on the subject).